Heading into tonight’s game against the Pittsburgh Penguins, there was expected to be some fireworks after a contentious last meeting in November, one that saw T.J. Oshie receive an elbow to the head from Penguins star Evgeni Malkin, only to return to the game to secure the win for the Capitals. 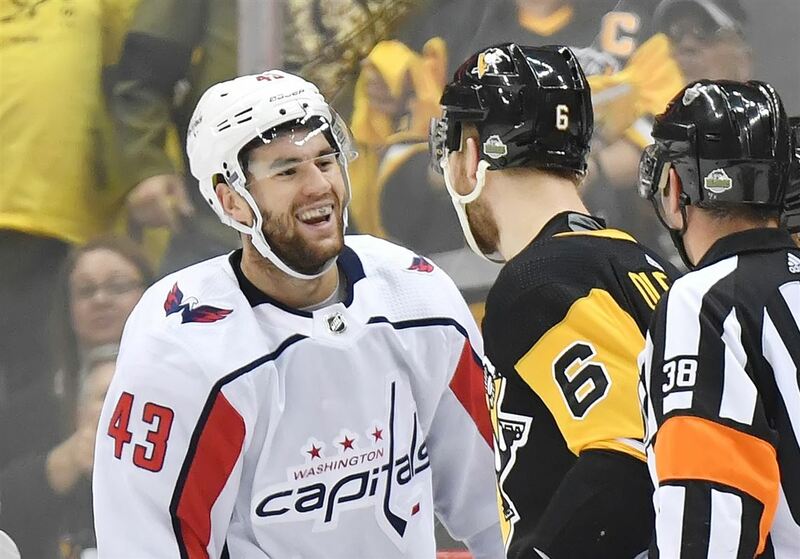 And that rang loud and true just over a minute into the game, when Capitals right wing Tom Wilson and Pittsburgh defenseman Jamie Oleksiak dropped the mitts. The fight was in response to a hit by Oleksiak earlier in the play sequence, and it took just a few swings for Wilson, who last played against the Penguins in the playoffs this past spring, to drop the Pittsburgh blueliner, who took a few seconds to recover from the daze he was put into. Wilson, who told reporters after morning skate he didn’t expect any significant shenanigans, is playing in his 14th game since returning from a shortened, 20-game suspension. A few minutes later, Alex Ovechkin and Sidney Crosby held a shouting match at each other, following a dust-up on the ice between the two. 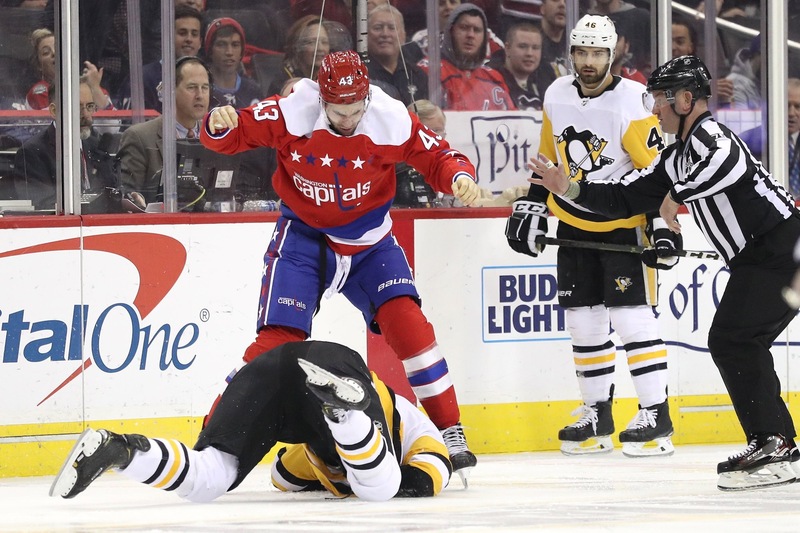 This entry was posted in Games, News, NHL, Players, Teams, Washington Capitals and tagged Fighting, Jamie Oleksiak, Michael Fleetwood, Pittsburgh Penguins, Tom Wilson, Washington Capitals, Wednesday Night Hockey. Bookmark the permalink. Wilson is a stone cold monster!! !straight KO!! !